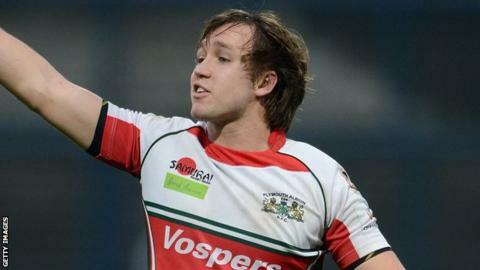 Paul Roberts missed a late conversion as Plymouth slipped to their 10th loss in 11 league games against Bedford. Blues raced into a 14-point lead with tries from Neil Cochrane and James Stephenson before Rhodri McAtee's try and Roberts's penalty made it 14-10. Tries from Harrison Tovey and Ruari Cushion had Albion in front, but Josh Bassett got one back for the visitors. Darren Veenendaal's try had Blues ahead then Aaron Carpenter went over for Albion, but Roberts missed the extras. Albion have now narrowly lost their last three Championship matches by a combined total of just six points.